The inaugural Mubadala Silicon Valley Classic will welcome a world-class player field in July, most notably an appearance by Serena Williams. The inaugural Mubadala Silicon Valley Classic will be held in San Jose after replacing the long-standing Stanford Classic starting from this year. Its debut on the WTA Tour seems highly-anticipated and looks to be a blast, with a stunning entry list awaiting them this July. The former “WTA Big Three” will make a rare appearance together in the same Premier tournament, as 23-time Grand Slam champion Serena Williams is slated to compete alongside rivals Maria Sharapova and Victoria Azarenka, who received a wildcard into the event. 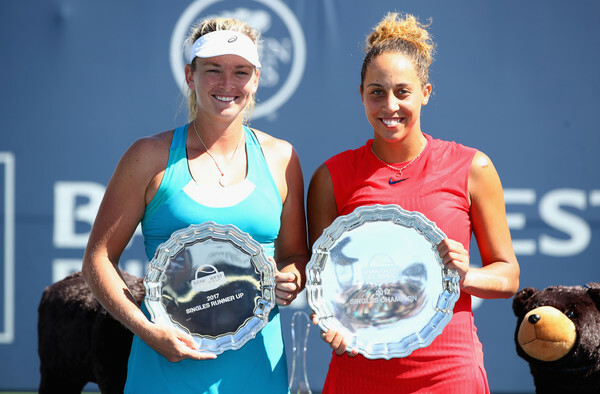 A repeat of last year’s final in Stanford could occur once more, with both finalists Madison Keys and Coco Vandeweghe making their return. In a hardly-seen occurrence on the circuit, a tournament will have all three of Williams, Sharapova, and Azarenka participating in its debut year. The American is a three-time former champion while the Belarusian triumphed back in 2010. Sharapova made the final in the same year, falling to Azarenka in straight sets then. Ticket sales will definitely be boosted by the appearance of the three big names in the draw, and this will be their first hard-court preparation tournament leading up to the major US Open, the final Grand Slam of the year. Furthermore, all three players will be able to improve their ranking with a good showing here, since Williams and Azarenka have nothing to defend while the Russian is only defending 55 points till August. US Open finalist Madison Keys, the current world number 10 and defending champion, now has to attempt to defend her points against a much tougher field but being the home favourite here in San Jose, the crowd will be treated to a good show if Keys is able to maintain her high level of tennis throughout the week. Her opponent in last year’s final, Coco Vandeweghe, will also be back vying to improve on her best finish in the event in a different venue. 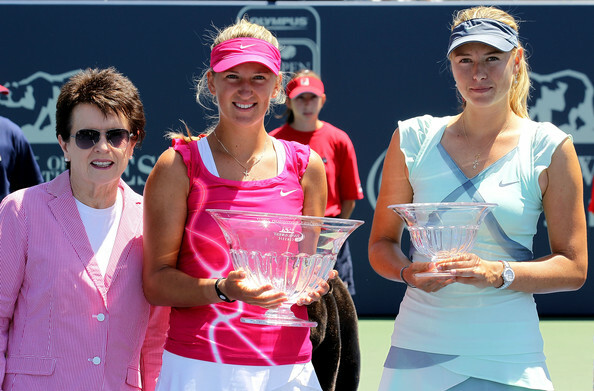 Vandeweghe’s explosive game could be hot-or-cold, similar to her good friend Keys’, but yet again if she were able to display the type of form she showed last year in reaching the US Open semifinals, it seems like a deep run will not be surprising. Other Americans in the draw include Alison Riske, Sachia Vickery, new name Danielle Collins (who reached the last four in Miami), and talented rising star Catherine Bellis. Australian Open semifinalist Elise Mertens will look to continue her stellar 2018 in San Jose, currently ranked inside the top-10 of the Porsche Race to Singapore leaderboard. 2016 champion Johanna Konta also makes her return alongside the talented Anastasia Pavlyuchenkova. Hard-hitters seem to be headlining the draw with Zhang Shuai joining the field as well, while Mihaela Buzarnescu is slated to be the eighth seed in this tournament. Former top-10 player Kristina Mladenovic aims to regain her top form, and she will start her US Open Series at the Mubadala Silicon Valley Classic though she will most likely be unseeded with her current ranking of 56, it will ultimately depend on her grass-court results.